Teresa has been our Office Manager since 1990. 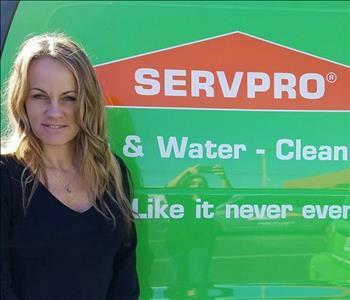 She is the backbone of what makes this SERVPRO franchise tick. Teresa’s customer service expertise is extraordinary. 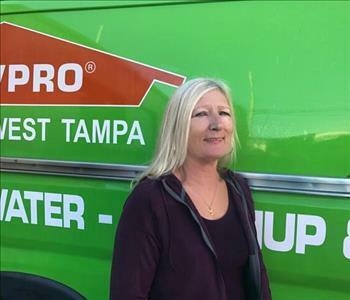 She is not only helpful, knowledgeable, & experienced; she helps ease customers by reassuring them that SERVPRO is always here to help. Stephanie has been the Director of Operations since 2004. Stephanie is the “woman behind the curtain”. She is always making sure things run smoothly and most importantly, that our customers are well cared for and treated. She is not only a joy to be around; she is extremely knowledgeable in all areas of what SERVPRO does and how we stand by our customers. 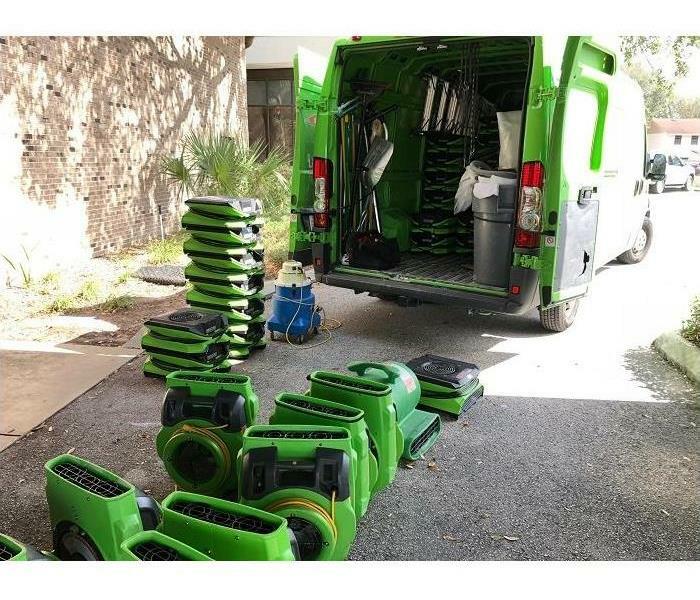 Taylor is our Project Manager at SERVPRO of West Tampa. 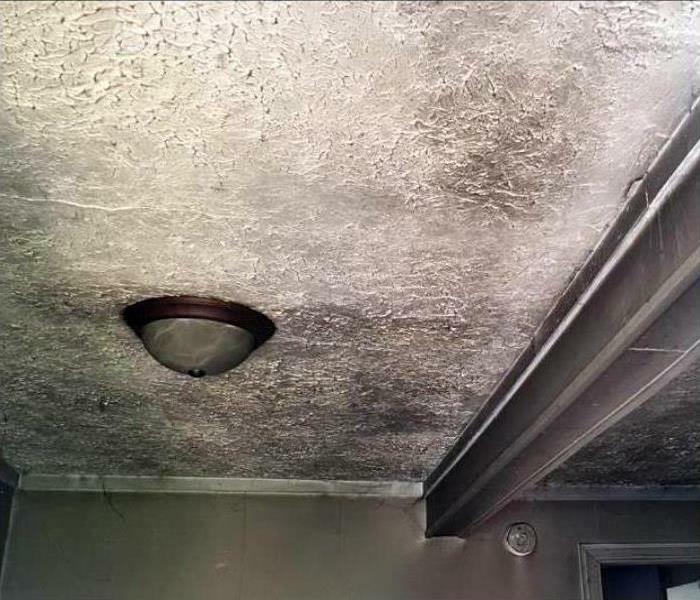 He started his career at SERVPRO in 2009. Taylor is not only a detailed project manager; his customer service skills are one in a million. Any questions you have, Taylor will always be more than happy to answer them! Danny has a heart of gold and will do whatever he can to help customers in their time of need. 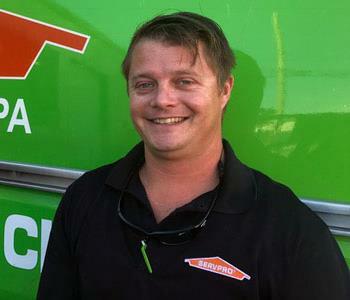 He has been a crew chief with SERVPRO since 2005. When Danny is not saving homes, you can bet that he is out fishing for his next big prize fish! 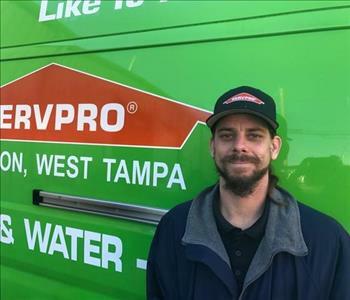 Our crew chief at SERVPRO of West Tampa is Ricky. 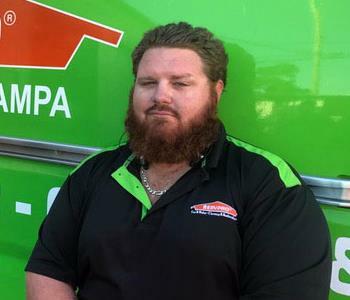 He has been a crucial part of the SERVPRO family for over 13 years. He is one of the most knowledgeable & resourceful Crew Chiefs on our team. He is most definitely the “social butterfly” of our family here at SERVPRO. Ricky is always laughing, smiling & always a pleasure to be around.